At VeriForm, we understand that time is money. 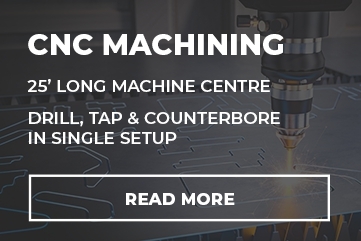 Our new 20-foot long (computer numerical control) CNC machining centre is long enough to have multiple workstations duplicated to ensure uptime is high and productivity is second to none. 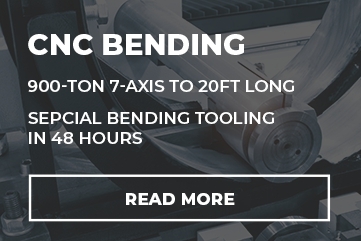 Our team has decades of machining experience especially when it relates to welded fabrications. Machined parts by VeriForm end up in numerous applications including nuclear reactors, naval vessels, MRI medical equipment, and even the VeriCUT Crossflow™ Downdraft Table designed and built by VeriForm for steel service centers across Canada and the United States. In the USA alone we have components shipping to Nebraska, Mississippi, Florida and Minnesota. Drilling – Produces holes in metal piece, up to 1.5″ in diameter. 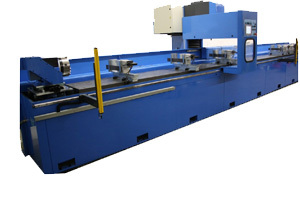 Plate, Structural & Rounds – CNC plasma cutting is a process of creating 2D shapes from sheet metal using a high temperature, high-velocity stream of ionized gas. Tapping – Produces internal threads in the product (up to M40 thread). Countersinking – Allows screw heads to “sink” into the metal rather than protrude from the surface. 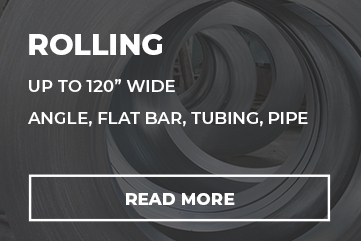 Boring – Produces circular internal profiles in a hollow piece or on a hole made by drilling. Milling – Removes small chips using a rotating cutter. Slotting – Common shapes include a straight slot (rectangular or square), or a keyway, locking slot that is curved on the end. Beveling – There are a number of critical issues to address when beveling, which is the process used to prepare metal for a welded seam. From the degree of the angle to the length of the bevel, it takes a skilled hand and the proper tools. At VeriForm, prepare parts can be welded by adding a bevel on weld joint parts. Our bevellers include a Pullmax X97, Heck 9000 or Trumpf handheld unit.